JOSEPH C. WRIGHT, Sheriff of Bond County, Ill., who resides in La Grange Township, has the honor of being a native of this State. He was born in Madison County, on the 10th of May, 1841, and is a son of Colwell and Agnes P. (Daniel) Wright, the former a native of Virginia, and the latter of North Carolina. The father of our subject was a farmer by occupation and came to Illinois in 1834, locating in Madison County, where he carried on agricultural pursuits for some time. The year 1848 witnessed his arrival in Bond County, and he again turned his attention to farming, which he carried on in Mulberry Grove Township, there making his home until his death on the 19th of January, 1852. The mother survived him about eight years, dying in December, 1860. Their family numbered eleven children, eight of whom are .vet living: George W., Mrs. Elizabeth Reynolds, William, Mrs. Martha Jett, Mrs. Virginia Rodgers, Joseph C., Joshua and Mrs. Sarah Hubbard. The subject of this sketch spent the days of his boyhood and youth upon his father's farm and acquired his education in the public schools. He then engaged in teaching for one term, and remained upon the home farm until after the death of his mother in 1860. After the breaking out of the late war, he responded to the country's call for troops, enlisting as a member of Company E, Twenty-second Illinois Infantry, in which he served for three years, two months and two days. He was slightly wounded at the battle of Resaca, and a wound received while building a breastwork confined him in a hospital at Cain Creek, Ala., from August 25, 1862, until the 25th of January. 1863. After the expiration of his term of service, he was honorably discharged. He had participated in the battles of Charleston (Mo. ), Belmont, Farmington, Chattanooga, Chickamauga, New Hope Church, and a number of skirmishes. He proved himself a valiant and faithful soldier, was ever found at his post of duty and was a faithful defender of the Old Flag, which now floats so proudly over the united nation. After his discharge, Mr. Wright came to this county and engaged in farming in La Grange Township until 1886, when he came to Greenville, and for four years served as Deputy Sheriff. He was then elected, in 1890, to the office of County Sheriff, which position he still fills. He also served for eight years as Constable of La Grange Township. In politics, he is a stalwart Republican, warmly advocating the principles of that party, and in his social relations is a member of the Grand Army of the Republic. 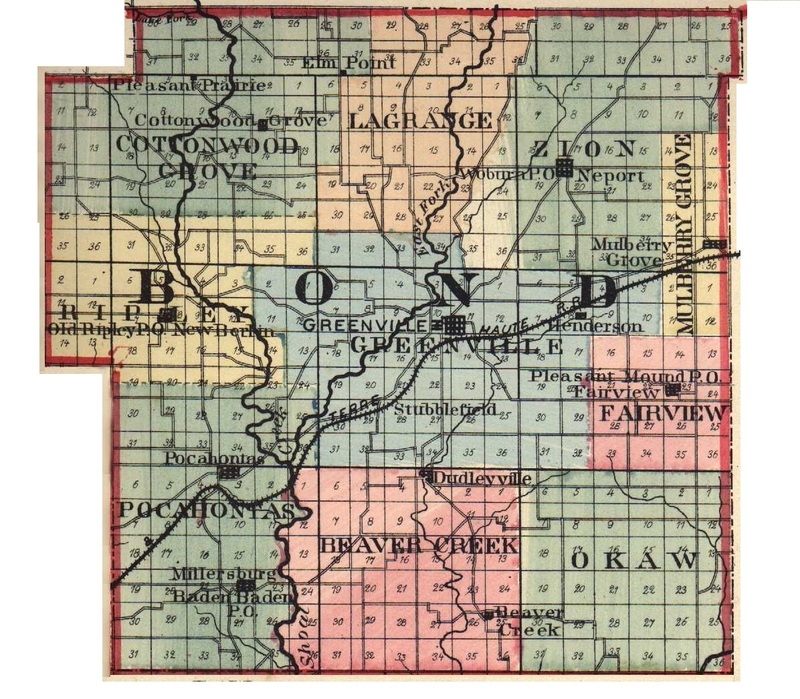 In the year 1879, Mr. Wright was united in marriage with Miss Effle A. Watson, daughter of Andrew W. Watson, of this county, and their union has been blessed with three children, who are yet living: Charles O., Irena M. and George C. Mr. Wright is widely and favorably known throughout Bond County. His worth and ability led to his election to the office of County Sheriff, and his faithful discharge of duty has shown that the confidence reposed in him is not misplaced. He is a brave, fearless man, straightforward in all his dealings, and his friends throughout the community are many.